Our school choir has been busy over the last couple of months writing lyrics to ‘Steps- Reach for the stars’, practising and performing in order to enter the KM choir competition. 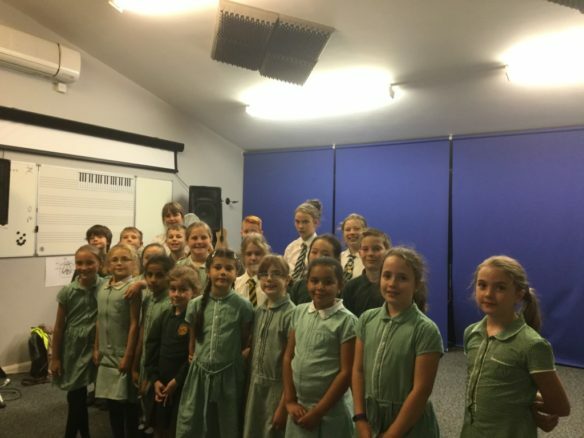 They were invited to go along to the recording studio in Canterbury with just 4 other primary schools from all over Kent. The KM team were so impressed with the choir, that were awarded ‘Highly Commended’.